A straightforward and simple answer but there is a deeper meaning about it, and a long story as well, which I'm going to summarize. So I started wearing hijab seriously last May 2014. It has been almost 2 years, Alhamdulillah I did it. Technically the years before 2014, I don't wear hijab at all. I never take it seriously, because I wasn't able to guide myself because I know nothing about Islam. My parents never failed to guide me but unfortunately I wasn't listening before because I myself doesn't want to wear hijab. It was my fault, just have to point that out. 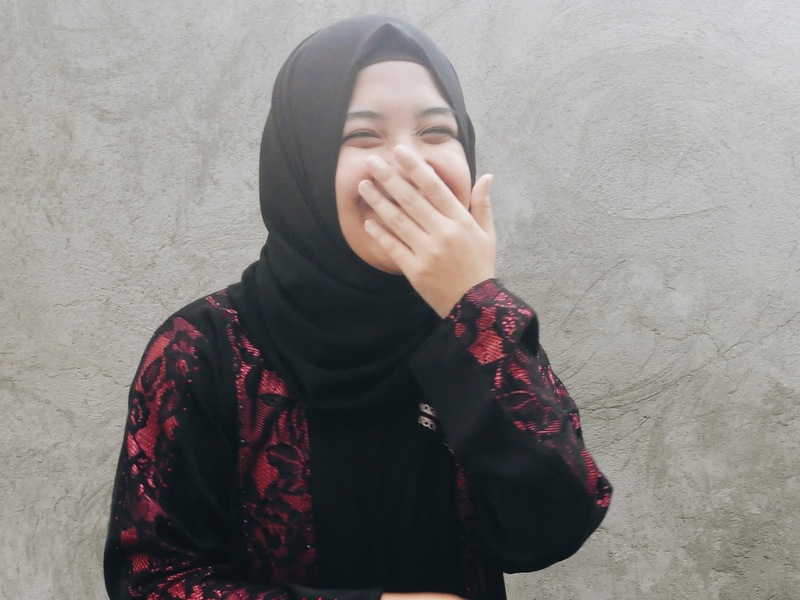 In 2014, I had to move here in the Philippines for college and most of my relatives are wearing hijab here, so I was force to wear hijab even more. Because not only me they'll judge, but also my parents, and I don't want that to happen to them because they were the best parents to me. And they don't deserve being randomly judged because of me. 2014 was probably my adjustment year, it was hard. It was a hard year for me. All of the adjustments I haven't imagined I'd encounter was thrown into my face like a tornado. From family, college, new place, new city, new people, new neighbors, then to my religion, Islam. In summer, my sisters and I were attending Islam class at home. The lecturer was specifically payed by our parents. And Alhamdulillah, my parents did it, because I've learned a lot of things from the lecturer. She was a great ustadza (female Islamic teacher). Honestly, wearing hijab helps me believe that I'm a true Muslim, that I must continue working on my spiritual belief or faith, and made me realize that this new me is actually MORE WAY better than I was before. I build up my inner confidence, I worked with my insecurities, I accept who I am, and I truly believe in Allah now and forever. There are lots of lessons in Islam and when I learned and believed some of it (I'm sure I'm not an expert and I still have lots that I need to know about Islam) because I'm not really religious at all but somehow I feel satisfied for who I am, who I'm with, and where I am right now by wearing hijab. Because everything happens for a reason, this was destined, this was His plan. All I have to do is accept it with sincere gratitude. Now, I don't just wear hijab just because I don't want people to judge me. Because let's face it, no matter what you do, someone will always judge you. Wearing hijab is my choice. I'm forever grateful that I did it, because there are still Muslims out there who aren't wearing hijab and doesn't know the importance of it (which I'm sure they will know and realize as I was also like them before), and I'm grateful that I'm not one of them anymore. I still believe that if I can, they can too. Collaborated with Rouge & Ruche for the celebration of World Hijab Day in February 1. I see nothing bad in not wearing hijab or wearing it. It's all ones choice. It's good to hear that you finally are discovering yourself and learning more about your religion. While I am not one of believers and do not practice any religion, I do think that people shouldn't be judged for their religion or these choices. I can be a firm believer without practicing it. Like some catholic people do not go to church, but are they less religious because of that? My answer is no and belief in my opinion is something every person carries inside of it, in his soul. Wow Leta, that was deep. And I couldn't agree with you more. Thank you for this. Thank you Dominica. The respect means a lot though. Ahw thank you! PREACHING IT LIKE SQUEEZING A LEMON. Haha! May Allah bless you as well, sis. Mashaallah :) It is very courageous and strong of you to make that decision. I hope that I have the strength one day also. Yes it is. InshaAllah you will, just don't force yourself if you still don't want to at all. Time will come, InshaAllah. Thank you Ellese. It means a lot. Salam. Huon, tausug aku. Thank you! Sure sure. This was such a beautiful post, I really enjoyed reading it because I didn't know a lot of these things! I love your blog and look forward to reading more posts! Alhamdulillah, what a nice post Fahda. Moreover when I read the comment about what the people think and they are supportive. Love your blog after all, I'm looking forward for your next posts hon. May Allah always bless us, Aamiin. trivagofinancialhome.in@gmail.com call/WhatsApp us +1(316)925-6026 website https://trivagofinance.wixsite.com/home for easy application.